Allows a standard window air conditioner to cool a room to 34 F! 41.7% energy savings when comparing a CoolBot-driven system versus a conventional refrigeration system for a simulated cooler. The simulated cooler was 250 square feet, located in Albany, and set at 41 degrees Fahrenheit. See page 13 of the NYSERDA report. This is an amazing piece of equipment it turns a window unit air conditioner into a walk-in cooler compressor, fan, and controls without the expensive equipment of a conventional system. GREAT JOB!!! Take a window unit, a shipping container, a spray foam insulation kit and a CoolBot, and you can replace an overpriced & oversized refrigerated walk-in cooler! So easy!! I use an old milk truck for a walk-in cooler.The size is 10’x7’x6′.The CoolBot works fantastic. 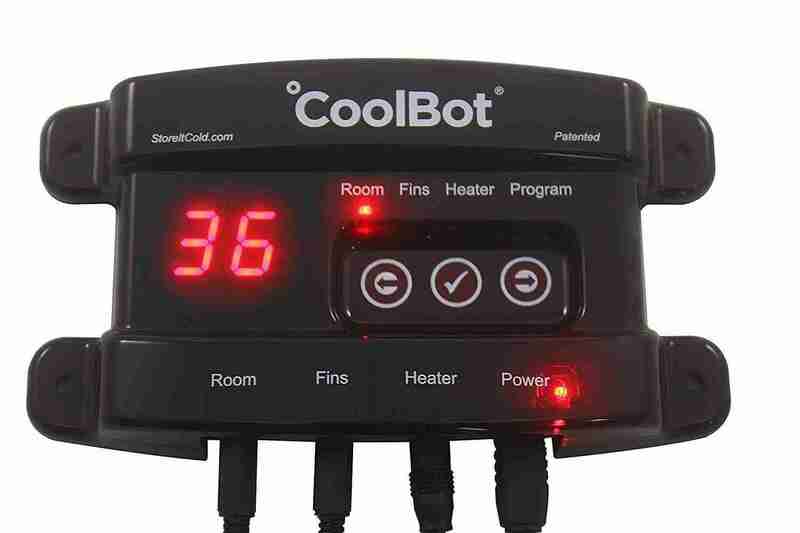 They are very easy to install and program.I have used the CoolBot in temperatures from 80* to 25*,it has maintained a constant temperature of 36* without any problems.I use the cooler for deer ,hogs and beef that we kill on our farm.The CoolBot saves me money by not having to find an HVAC person to service the cooler.I highly recommend the CoolBot for any home cooling needs. Great question and hope to be of service in anticipation of hearing from Mr. Crawford. 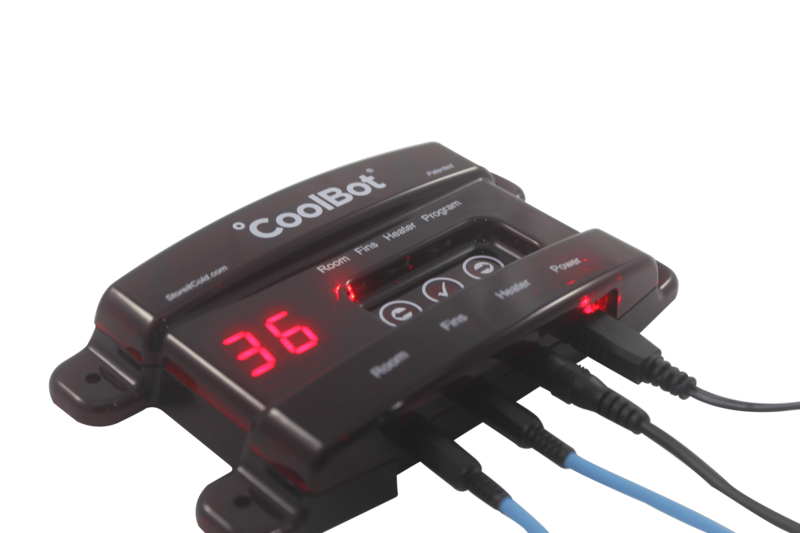 The CoolBot enables the Air Conditioner to blow the colder temperatures and this is facilitated by the Fin Sensors, which serve to shut the compressor of the AC down when frosting is detected. That being said, other variables can be of influence: insulation, moisture, AC over-sized for the cooler space. Our Customer Service Engineers are always on call should this scenario arise with helpful tips and tech support, we have you covered. We will reach out directly with some of the information and please contact us anytime. This company is topnotch in every way. The product does what they say it will do and is easy to use. Just hook it up to a A/C unit plug it in and that’s it! This product has transformed production at our small organic farm. We love, love, love it and cannot recommend it highly enough. We tell folks and other farmers about it all of the time, and a local pub even wants to install one for a beer cooler now. That is why we do it and we love hearing from the CoolBot community and are here if we can ever be of service. Stay Cool! Thank you very much Mark! Wishing you a great season from our entire team! Good to go with the LG and sending you an email directly with a bit more information on AC’s and the all mighty CoolBot and CoolBot Pro.